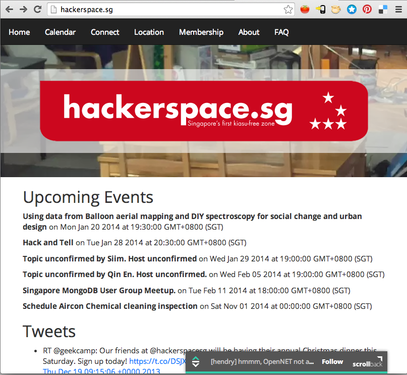 January 20, 2014 http://hackerspace.sg/ Presentation of Public Lab, connecting with many hackers and activists. Singapore has amazing relationships with neighboring South Asian countries. As a result of this meeting, Denisa Kera is bringing a foldable spec and foldable infragram pack to yogyakarta, Indonesia where there is a very active citizen science group. The main environmental justice issues discussed in Singapore were regional air quality (from forests burning in Indonesia) and the poor protection for workers throughout South East Asia. This man in the photo below is the honored expert in electrical engineering among this hacker community. His concern for himself and for fellow workers around south east asia is exposure to solder with no ventilation or masks for so many years of working. He was recently told by a doctor that he has deep vein thrombosis and got it through his 20 years of exposure on the job. 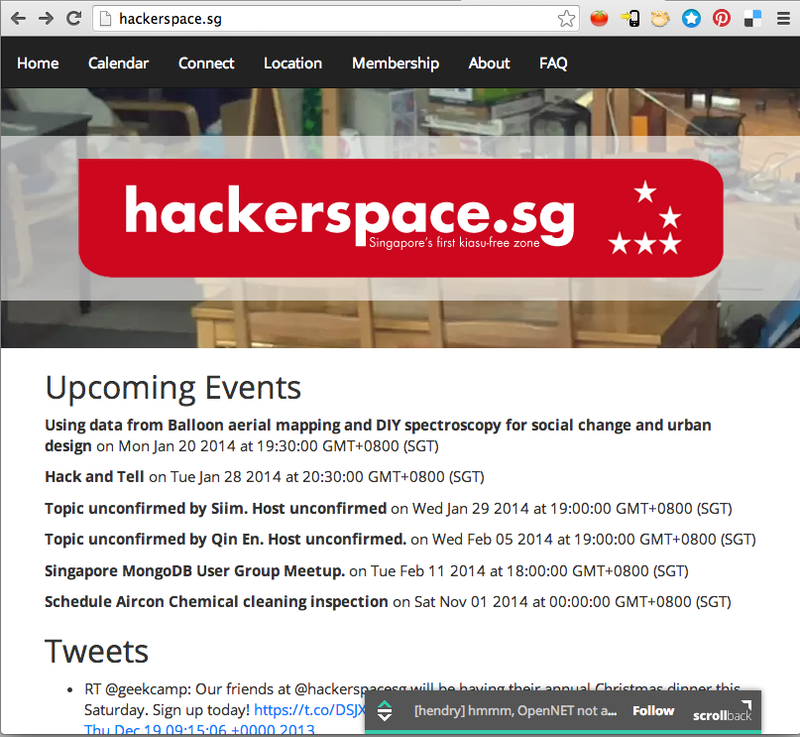 He questions how south east asia can have so few protections for workers, and as a hacker is interested in whether the spectrometer can reveal air quality factors in close range such as within a room.